Health awareness is increasing everywhere and so is the demand for healthy foods. Arguably, prepackaged and processed food unnecessarily pollute the can-be-simple process of providing our bodies with nutrition. In response, many people look to whole, raw foods that have traditional appreciation. If you want to avoid lab-experiment food, then just ask yourself, what did people eat before they started eating attractively packaged baked goo made from test tube ingredients? That’s a question with many answers, and one such answer is chia seeds. 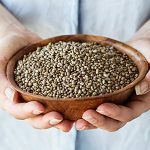 Chia seeds are a traditional food in central and south America and, yes, these are the same seeds known for the association with the Chia Pet. But more than an answer to ceramic statue baldness, chia seeds are very nutritious and loaded with omega 3 and 6 fatty acids. Chia seeds can be eaten alone or added to smoothies, protein shakes, yogurt, cereal, salads, and so on. They have a very mild flavor that is slightly nutty but mostly neutral. When they’re hydrated or mixed with water they form a clear gel consistency. Some people are a little skeptical at first but relax, the flavor is benign, almost tasteless. 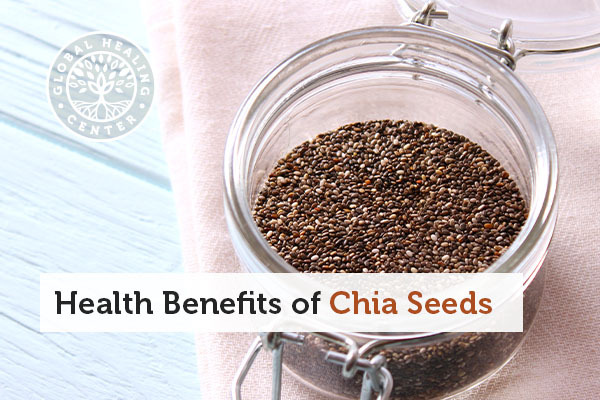 Nutritionally, however, chia seeds and chia gel is rich in protein and amino acids. When I was in school, it was the norm for the swim team to ingest massive amounts of pasta a day or two before a big competition to “carb up.” It's common for marathon runners and cyclists to do the same thing. The idea is that “carb loading” will increase the amount of glycogen (energy) in your muscles. Obviously if you've got a big competition or strenuous event, you need to make sure your gas tank is full. But, pasta is heavy in carbs and sugars, is loading up on that stuff the only way to have enough available energy? 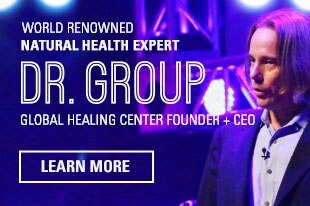 According to the Natural Standard Research Collaboration, chia seeds may provide various roles of support for symptoms of many diseases. Omega fatty acids are beneficial but another part of the general “tonic” effect of chia seeds is probably due to antioxidant action. 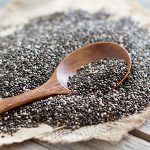 Appalachian State University conducted a study involving 62 overweight women, ages 49-75 and reported an improvement in lipid levels following a diet that included chia seeds. Nutritionally, chia seeds are everything good and nothing bad. 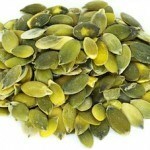 For most people, they are a food to include in your diet. 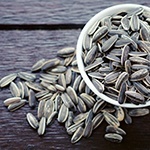 Are Chia Seeds Beneficial for Your Skin? Like avocados and cucumbers, chia seeds are among nature’s best offerings that, in addition to being nutritionally sound, may also promote healthy skin. Borneo R, Aguirre A, León AE. Chia (Salvia hispanica L) gel can be used as egg or oil replacer in cake formulations. J Am Diet Assoc. 2010 Jun;110(6):946-9. doi: 10.1016/j.jada.2010.03.011. Justo MB, Alfaro AD, Aguilar EC, Wrobel K, Wrobel K, Guzmán GA, Sierra ZG, Zanella Vda M. [Integral bread development with soybean, chia, linseed, and folic acid as a functional food for women]. Arch Latinoam Nutr. 2007 Mar;57(1):78-84. Spanish. Illian TG, Casey JC, Bishop PA. Omega 3 Chia seed loading as a means of carbohydrate loading. J Strength Cond Res. 2011 Jan;25(1):61-5. doi: 10.1519/JSC.0b013e3181fef85c. Ulbricht C, Chao W, Nummy K, Rusie E, Tanguay-Colucci S, Iannuzzi CM, Plammoottil JB, Varghese M, Weissner W. Chia (Salvia hispanica): a systematic review by the natural standard research collaboration. Rev Recent Clin Trials. 2009 Sep;4(3):168-74. Nieman DC, Gillitt N, Jin F, Henson DA, Kennerly K, Shanely RA, Ore B, Su M, Schwartz S. Chia seed supplementation and disease risk factors in overweight women: a metabolomics investigation. J Altern Complement Med. 2012 Jul;18(7):700-8. doi: 10.1089/acm.2011.0443. Jeong SK, Park HJ, Park BD, Kim IH. 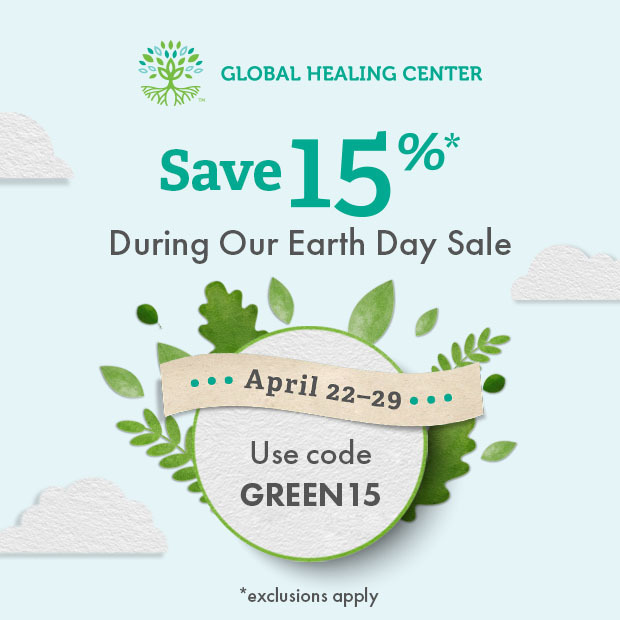 Effectiveness of Topical Chia Seed Oil on Pruritus of End-stage Renal Disease (ESRD) Patients and Healthy Volunteers. Ann Dermatol. 2010 May;22(2):143-8. doi: 10.5021/ad.2010.22.2.143. Epub 2010 May 17.